During my almost 40 years of working with, and around cars, I have been fortunate to forge strong bonds of friendship with some great people, both in Australia and around the world. My career as an automotive journalist began with a few years of freelance writing, then I joined MODERN MOTOR magazine as assistant editor, becoming the Editor in the early 70s. In that time my special group of friends included some of the ‘giants’ of Australian automotive journalism. 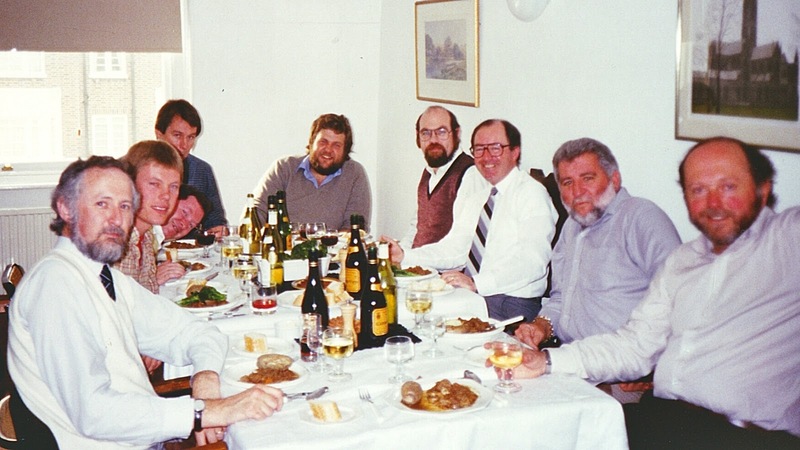 After I joined the car industry in 1977 I ensured that I maintained those strong links with this special group of friends, and in 1984 we arranged to all meet together above the offices of British CAR magazine, in Earl’s Court, London. Recently trawling through my photo archives I came across a photograph celebrating the meeting on October 15,1984. Fortunately we have only lost two of our group. My friends in this group all went on to establish themselves in the highest echelons of automotive journalism. I want to take this opportunity to celebrate their achievements, and pay a tribute to my friends. PETER ROBINSON – A legendary journalist who is a lifelong car enthusiast, expert on automotive developments, and for 17 years was the Editor of Australia’s finest monthly motor magazine, WHEELS. Between 1987 and 2005 he lived near Milan, Italy, and was the European Editor for AUTOCAR, and WHEELS. He then returned to Australia to author a book, also writing a column for WHEELS, and he retired in 2014. GAVIN GREEN – Gavin is the son of another famous Aussie automotive journalist, and television commentator, Evan Green. Gavin’s automotive journalism career began when I gave him his first writing assignment for MODERN MOTOR in 1975. He moved to Britain in 1981 as a freelance writer, becoming Deputy Editor at CAR in 1984, then Editor of CAR from 1987 until 1992. Between 1992 and 2002 he was PR Director for Ford of Britain, and then Land Rover. In 2002, he was appointed Head of Automotive Editorial at Redwood Publishing. He now contributes to CAR and British Airways' Inflight magazine. DAVID ROBERTSON – Sadly, we lost Scots-born Davy in a jetski accident in 1993. He emigrated from Scotland to Australia with his Scots wife Jean, and joined the Sydney Morning Herald daily newspaper, becoming its automotive editor. After which he wrote for WHEELS and THE BULLETIN. At the time of his passing he was Editor of MODERN MOTOR. He was a fine writer with a highly respected volume of work. PHIL SCOTT – Phil’s career included a long period working in the Australian car industry for Australia’s biggest and most successful car importer at the time. He joined the Sydney Morning Herald newspaper, later becoming a feature writer for the Sunday Sun-Herald. 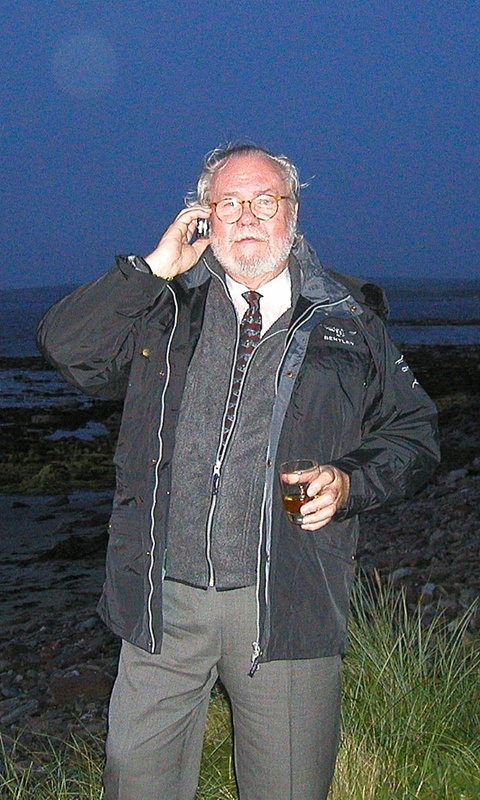 He later became editor of WHEELS magazine between 1987 and 1995. He was then appointed auto editor for the Sydney Morning Herald, a job he held until 1999, when he was appointed Managing Editor of the newspaper. In 2002 he became Publisher of Mens and Specialist Magazines, then in 2010 was appointed Managing Director of the whole of shebang, of the late Kerry Packer's magazine empire, ACP Magazines. ACP Magazines is the publisher of WHEELS, and more than 50 other magazine titles. STEVE CROPLEY – Born a long way west of Sydney, in Broken Hill, and moved to Sydney in 1973 to join WHEELS, and SPORTS CAR WORLD. In 1978 he moved to Britain to join the staff of CAR magazine, becoming the Editor from 1981-1988. He then moved to Haymarket Publishing in 1991, the publishers of AUTOCAR and WHAT CAR?. Steve is now Editor-in-Chief of Haymarket’s flagship automotive titles. MEL NICHOLS – Mel began his career on a small newspaper in northern Tasmania. In 1970 he moved to Sydney, as Deputy Editor of WHEELS. Then he edited SPORTS CAR WORLD from 1972-73, until he departed to the UK to freelance. He joined CAR magazine as Editor from 1974-1981. He ran a contract publishing house from 1981-85, started REVIEW, an arts magazine in 1986, then in 1987 he joined Haymarket Publishing as Editorial Director of all Haymarket Publishing Consumer Media, until 2009. JOHN CRAWFORD – Yours truly, smiling broadly because I was so very pleased to be able to time a business trip to London with this august gathering of my friends and peers, all of whom I admire greatly, and value their friendship highly. BILL TUCKEY – Bill was the colossus of Australian automotive journalism. He was Editor of WHEELS from 1963-1968, but throughout his life he mentored and influenced generations of younger auto journalists who followed his path. Bill joined ad agency George Patterson for a few years, and worked on the GM-Holden account, keeping the flame of motor sport alive through the Holden Dealer Racing Team. He was much more than a journalist, he was a writer. His words were full of humour, insight, information and wisdom, and occasionally invective if there were things about a car he thought were all wrong. Tragically, he passed away from a stroke in 2016. Bill’s life and career was colorful, to say the least. IAN FRASER – Like many in this group, Ian wrote for WHEELS magazine, eventually taking over as Editor of both WHEELS and SPORTS CAR WORLD, before moving to Britain in 1970, and in company with partners acquired CAR magazine for £5000 in 1974. He continued as Managing Director until 1989, when the magazine was sold to Rupert Murdoch. He is retired and now lives in Garboldisham, Norfolk. To a large degree, the writing style of all the men in this photo was inspired by Bill Tuckey. All of them, with the exception of David Robertson and myself, went on to then influence generations of budding automotive writers, from their editorship of, and contributions to CAR magazine. They had a kindred spirit in one of America’s finest automotive writers, David E. Davis, Jnr., who had been Editor of CAR AND DRIVER, and later went on to establish AUTOMOBILE magazine, adopting the editorial approach of CAR. CAR owes its irreverent, cheeky and sharp writing style to another Aussie, the Founding Editor, Douglas Blain. Blain took over from George Bishop as Editor of Britain’s SMALL CAR magazine in 1963, before changing its name to CAR in 1965; and eventually opened its doors to most of the men in my photo. Douglas (another Tasmanian) had been hired at 20 by Ian Fraser, then Editor of WHEELS and SPORTS CAR WORLD, because of his maverick, but mature writing style. Consequently, it was Doug Blain, who later convinced his former editor, Fraser, to join him in London in 1970, to advance the standards and style of CAR. So the circle of influence, from Bill Tuckey, Douglas Blain, David E. Davis, Jnr. and all of those in this photo, has been completed – endowing the world of automotive journalism with a style of writing that fast became the standard for aspiring young journalists just starting their careers in automotive writing, including a young Jeremy Clarkson, who soaked up the pages of CAR from the age of 16.